Photo: Jack's Restaurant, breakfast was pretty good. Eastern Mojave Vegetation Jack's Restaurant, breakfast was pretty good. Photograph taken July 17, 2005. Steve and I had breakfast here on a early summer Sunday morning. Lots of good old boys loading up for a day out on the river or the lake. Pretty good food. Field Notes: 17-Jul-05 at Bishop. 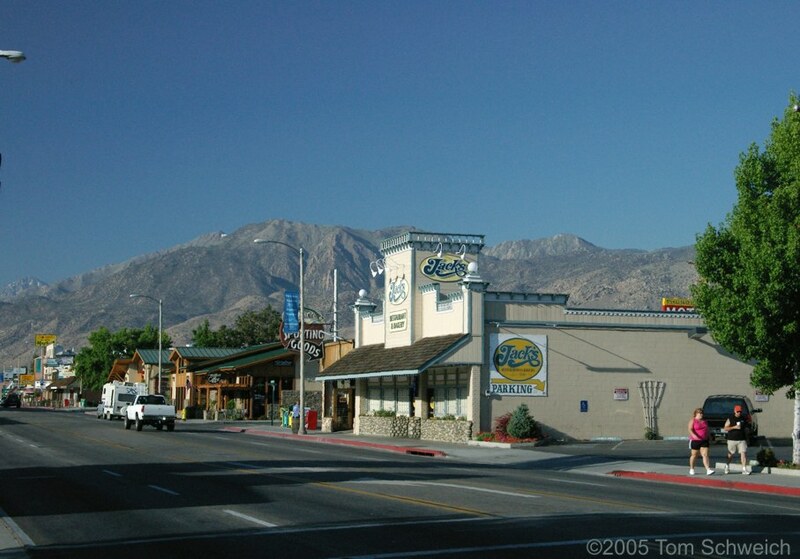 U. S. Highway 395: in Bishop. Other photos about Geography - California or Owens Valley.